How often have I heard “gee, hiring a rental car in New Zealand is so expensive”. Well my friends, that depends. Yes, they are more expensive in the peak summer months. Why? New Zealand has a much smaller rental car market and vehicle fleet availability is stretched during Christmas/ New Year and February. In fact, those key months are always fully booked! Car rental firms in Europe, Australia or the USA, have a much stronger corporate (business) market, making it more competitive and less costly. The Good news is that in New Zealand’s off-season (May – September), most rental cars will be “parked up” in the yards (except for ski/school holidays). 2. Types of rental cars available? More good news! There is a full range of rental cars, from ‘Small Economy,’ to large 4WD or 12-seater. Most New Zealand rental cars have automatic transmission, but much of the pricing is determined by the age of the vehicle. Leading rental firms such as Budget, Hertz and Thrifty, offer fairly new vehicles (up to 18 months in use). Their prices will be higher than the smaller local rental hire operators who have older cars. The price difference can be major, such as NZ$40-60 per day! If you’re tempted to go with a smaller operator, remember you won’t get the convenience of a large depot network. 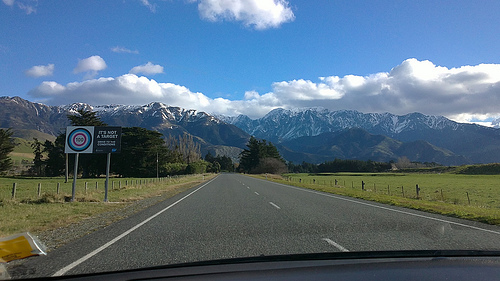 (Smaller companies usually only have 2-3 depots – Auckland, Queenstown and in Christchurch). 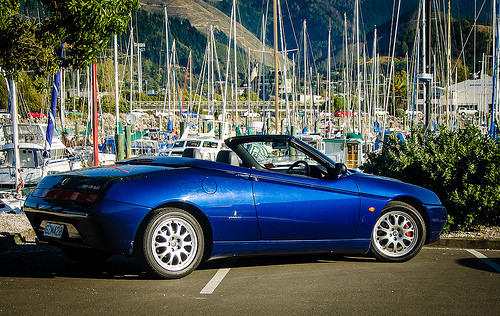 For a top-end option, ease your way into the seat of this Alpha Romero Spider V6 from Rent-a-Classic in Nelson! You can reduce your insurance risk to nil by paying extra at the rental car depot (note: you will need to sign this into the contract). Generally this would be NZ$17-40 per day. Handy hint: check if your overall travel insurance package or credit card insurance is going to cover this. Airports in New Zealand are basically run as companies, so they charge for the convenience of car or taxi pick-up at their terminals. Rental car or taxi operators will pass this cost on to you, the traveller. This is generally around NZ$50. Currently, this only applies for pick-up, not drop-offs. If you rent a car for 3 days plus, a one-way charge will not apply (note: there are some exceptions at specific locations, for different operators and different times of year) Check with your reservation as these one-ways can easily be $250-300! You will be charged for additional extras such as child seats ($15-20 per day), snow chains (same), ski racks and wifi device (about NZ$10 per day). If you travel in peak season, you must book these in advance. 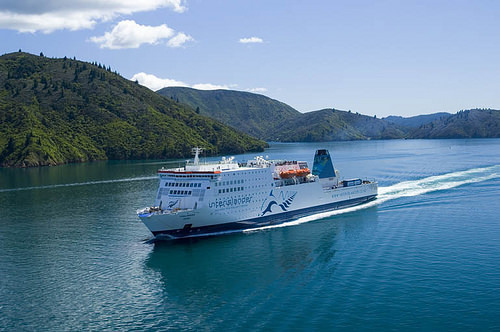 With the main operators (Budget, Hertz, Thrifty) you can drop your rental car off at the ferry terminal and then go on the ferry as a passenger (your luggage is checked in and out, just the same as an airport). The idea is that you’ll collect another rental car at the other end. Note, although you will be charged a “ferry terminal fee”, you’ll definitely save about $200 on the ferry cost for the car. Smaller rental car firms don’t usually have depots at the ferry terminal, so you will have to take the car onto the ferry and leave all the luggage in your car. There is more good news for Rental Car Options in New Zealand: Unlike Australian rental cars, New Zealand does not charge stamp duty and admin fees. Generally one-way rentals are fine without charges (unlike huge charges for long distance, multi-state rentals in Australia). All rental cars are calculated in 24 hours terms (so to be clear: pick-up at 2pm and drop off 2pm next day = 1 rental day, BUT drop off at 5pm = 2 days! Often rental firms will provide “leniency time” of 59 minutes.